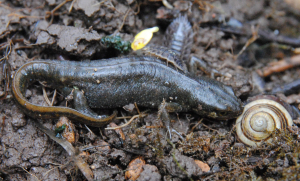 Inactive newts under some black bin liner (2). Observation - Inactive newts under some black bin liner (2). - UK and Ireland. Description: See Comment.